Yellow Mellow! 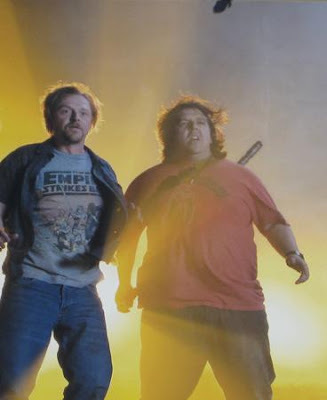 : First Look: Simon Pegg & Nick Frost In Greg Mottola's Paul! First Look: Simon Pegg & Nick Frost In Greg Mottola's Paul! Paul which opens in theaters on August 16th, 2010! 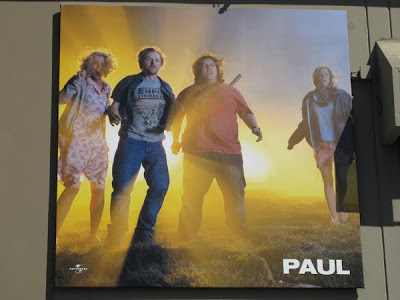 Synopsis: Paul is a comedy about two sci-fi geeks who embark upon a pilgrimage in a RV to the center of America’s UFO heartland: Nevada’s infamous Area 51. While in the middle of that desert, the two friends encounter a fugitive alien by the name of Paul. Somewhat reluctantly, they embark upon an adventure that will change not just their lives forever, but also the lives of the friends & enemies they encounter along the way.